Representatives of other health and safety institutions of these countries (Albania, Bosnia and Herzegovina, Bulgaria, Croatia, Greece, Macedonia, Moldova, Romania, Slovenia, Serbia, and Montenegro) are also invited to get more information about the network, co-operation and partnership. The aim is to expand the ENETOSH network and to win new partners from these regions. During the meeting, ISGUM was also invited in the TV show of the Croatia in which Turkey will present its activities and technical cooperation with SESRIC and other international institutions from East to West within the OSH field. 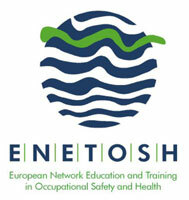 On the 16th of April, the 13th ENETOSH network meeting will take place in Zagreb, too. In the scope of this meeting, the ENETOSH Steering Committee will come together for the first time. An official proclamation of the ENETOSH Ambassadors and the members of the Steering Committee will be carried out at the end of the SEE kickoff meeting at the Europe House, Zagreb.